On the BSE, 4.99 lakh shares were traded in the counter so far compared with average daily volumes of 5.01 lakh shares in the past two weeks.  The stock had hit a high of Rs 341.75 and a low of Rs 319.20 so far during the day. 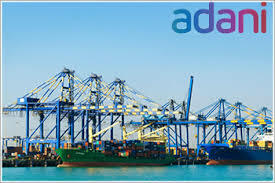 Adani Ports and Special Economic Zone (APSEZ)'s consolidated profit after tax rose 42% to Rs 1410 crore on 5% rise in revenue to Rs 2824 crore in Q3 December 2018 over Q3 December 2017. Consolidated earnings before interest, taxes, depreciation and amortization (EBITDA) (excluding forex loss/gain) rose 3% to Rs 1843 crore in Q3 December 2018 over Q3 December 2017. EBITDA margin stood at 65% in Q3 December 2018. Karan Adani, Chief Executive Officer and Whole Time Director of APSEZ said the company will continue its strategy to diversify cargo mix and continuously add economic hinterland reach. Adani Ports and Special Economic Zone, a part of globally-diversified Adani Group, is the largest port developer and operator in India.